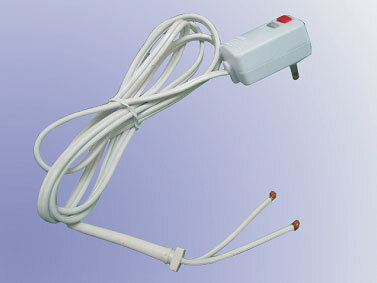 An Appliance Leakage Circuit Interruption (ALCI) is different from a common plug, which can detect the leakage during the electro-equipment is used. When the rated immediately for avoiding the hazard accident and protecting the human and equipment. This product is only fro indoor use. 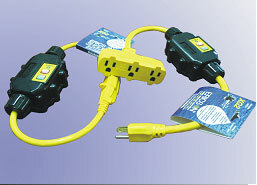 A Plug-in GFCI and a portable GFCI are different from a common plug and/or conductor. Once there is ground fault on the electrical equipment or the load, the GFCI product will switch off the power supply for avoiding any hazard accident. An Arc Fault Circuit Interrupter (AFCI) is different from a common interrupter which can detect if there is any scathe and arc on the supply cord. 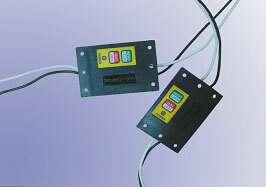 When the rated leakage current between the shielding line of an AFCI and load is upper than the setting value, the AFCI product will switch off the power supply for avoiding the fire accident.